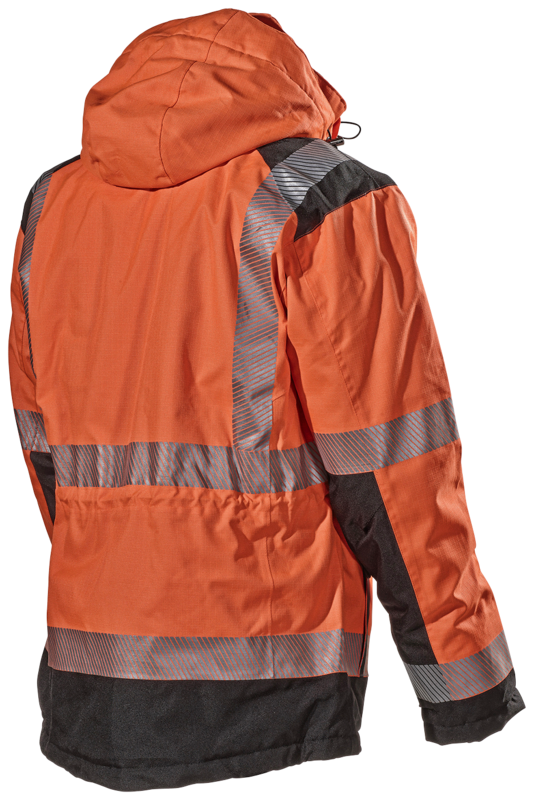 For those who work in windy and cold conditions and who need a garment that will withstand tough handling - and which also meets the highest EN standards for visibility. 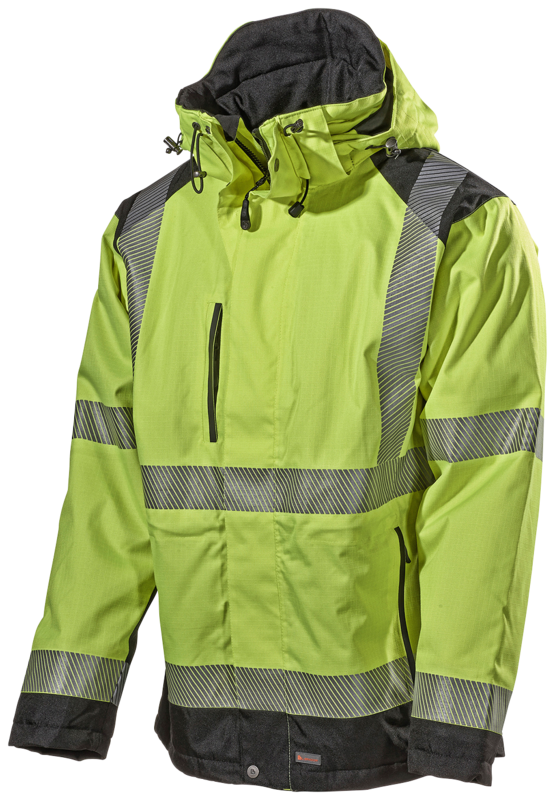 This jacket is designed according to the same principle as this spring's successful Hi-Vis clothing range in the premium segment, yet is lined for the cold and is equipped with wind-protection functions. The weave structure ensures a strong garment. Wind and waterproof with good breathability and taped seams. Extended back to keep the hollow of the back warm. Triple front placket protects the zip against wear and tear, gives good wind protection and, moreover, protects against water penetration. Covered zips to prevent water penetration. Adjustable at the waist hem for best fit. Fleece-lined pockets and inner fleece-lined collar with an extra high neck. Knitted inner cuff with thumb grip at the end. 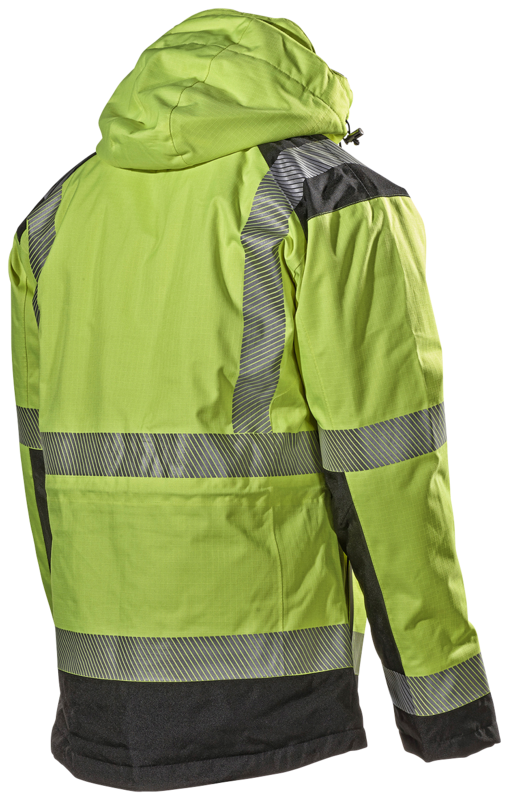 The reflective panels are flexible, and give a degree of stretch with good breathability as well as greater durability as they stand up better against wear and tear in the wash.
Matches the structure and colour of trouser 189P. Two chest pockets, the right one with a strap for ID cards. One inner chest pocket with access without having to open the jacket. Two side pockets, two internal pockets, one of which is transparent for seeing/using a smartphone without taking it out of the pocket. Loop for headset. Grip-friendly zip pullers and drawstrings. Material and weight: 100% polyester. 210 g/m². 3M reflective material. Certified in compliance with: EN 342 and EN 471, class 3 and updated to EN ISO 20471, class 3.